As the video shows, the system takes full advantage of the electronic brains of the engine to link a modified reverse bucket to a combination brake-and-reverse lever mounted on the left side of the handlebars. 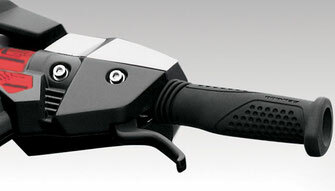 That handlebar-mounted lever is instantly familiar to anyone who has ridden a motorcycle, bicycle, ATV or snowmobile. One distinct advantage to a lever on the handlebars is that it allows a driver to keep his eyes focused on the water ahead, rather than looking down for a handle integrated into the console. As a rider squeezes the brake lever, several things happen in a fraction of a second. First, that computer brain detects the rider input and overrides throttle input, just long enough to interrupt the thrust and allow the reverse/brake bucket to swing down into position, its lowest edge about two inches below the hull. Next, a controlled amount of that thrust is then reapplied so that it hits the bucket and is redirected forward to provide stopping power. It’s a trick riders used to try to do manually, but at speed one that could have dangerous consequences. Sea-Doo avoids this scenario by limiting the amount of thrust that gets reapplied. In short, no one gets launched over the handlebars. 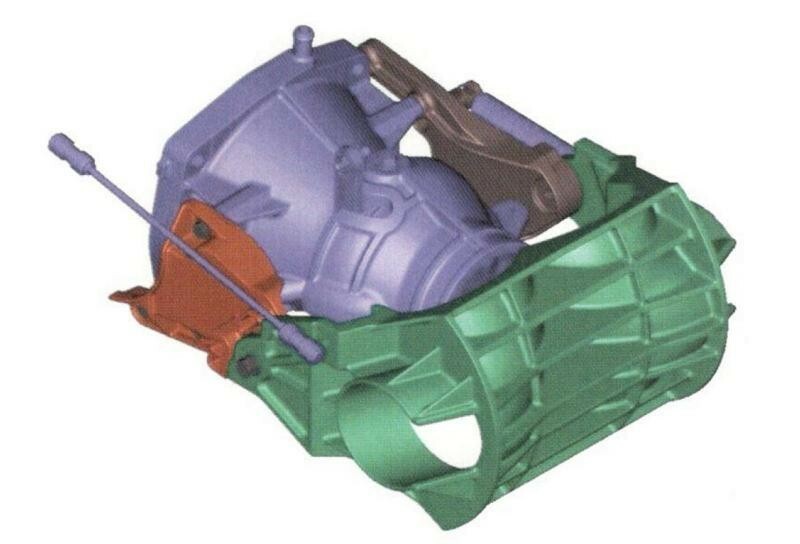 The braking bucket is also designed to pull the craft from the back, keeping the stern planted in the water and preventing the nose from submarining. Drivers can brake more or less forcefully just like they would in any other vehicle by applying more or less force on the reverse lever. In that way you can also feather your stops, braking hard to slow rapidly, then easing off the pressure on the lever to avoid the slowing from becoming too abrupt. Actual stopping distance? Count on iBR to roughly slow the craft to a stop in about half the distance of a similar model without the system. Disengaging the brake is as simple as touching the throttle. The bucket once again pivots up and out of the flow of water exiting the pump, and forward motion is resumed. One of the other cool advantages of the system (and what I consider the system’s greatest practical benefit) is that it is also used to allow an iBR-equipped craft to start in a pretty good approximation of neutral, just like most pleasure boats. That’s not something we expect in a PWC. Typically, a personal watercraft starts to move forward from the minute the engine starts, as thrust is always exiting the pump when the engine is running. By partially deploying that same bucket, Sea-Doo has pretty much found the sweet spot where thrust is redirected just enough to not move forward, but not enough to start pushing the craft in reverse. In short, it stays put, avoiding any panicked scramble for the throttle or reverse lever. 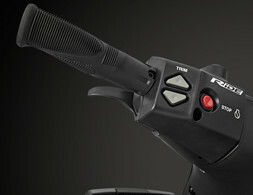 The world's first dual throttle handlebar control system. Just pull the right lever to go forward and the left lever for reverse. The RiDE system allows the rider to simply pull the right hand throttle lever to go forward, pull the left hand throttle lever to slow down and reverse. Let go of both levers and the watercraft is in neutral. The right and left throttle levers can work together at speed to give the driver maximum control. RiDE utilises a patented bucket design that forces water out the sides of the bucket, whereby acting as a virtual rudder that keeps the watercraft tracking in the direction the driver intended. The throttle system is controlled by an electronic Boat Control Unit, or BCU, that is specifically tuned at the factory to account for the power and weight of each specific model. This is to ensure optimum performance across the range, delivering a completely smooth experience when docking or slowing down. The BCU is also programmed to understand driver input and intention when both levers are pulled simultaneously, applying the appropriate level of acceleration or deceleration to maximize control.